I need to know how to sync from Microsoft Project to SharePoint tasks notes content. When I try syncing from Project to SharePoint I have two issues. 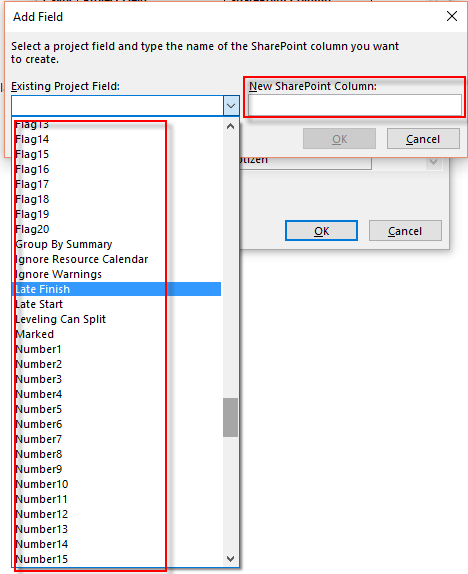 1) Project tasks notes data does not come through in SharePoint. 2) SharePoint tasks description does not come through to Project. I don't need both fields to sync, if the notes field data can sync to SharePoint, I can make this work. Is there a description field in Project that I am missing for a task? Is there a notes field in SharePoint that I am missing for a task? the sync from Project Professional to a SharePoint task list is only very basic but it can be configured. 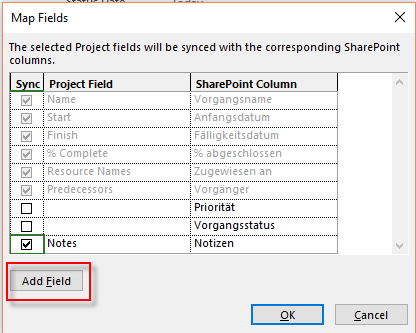 Go to File, there is a button "Field mapping" where you can select almost every field from Project and create a new field in the SharePoint task list. Please be aware that this is quite limited because it only syncs the first line of text from the Project notes field. Even if you change the field to RTF later in the SharePoint task list, this doesn't get better. 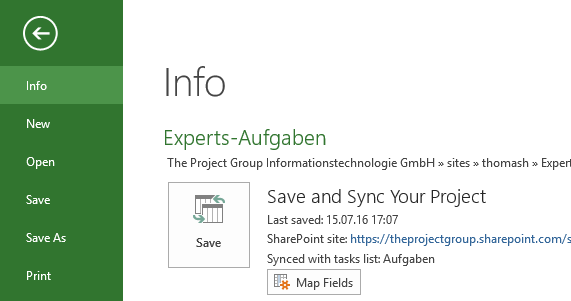 I did what you suggested and the data still does not sync from Project to SharePoint. Attached are screenshots of the settings and fields. Any other ideas?